Changing your car’s engine oil is not a difficult task to do yourself, but it is one that you should do the right way. 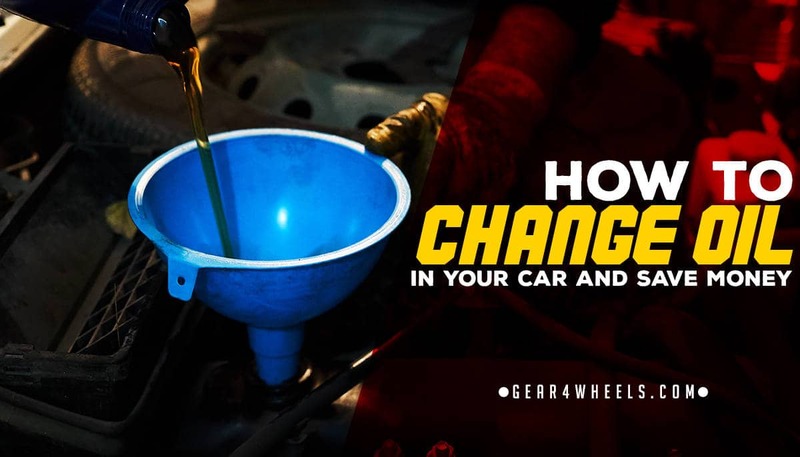 This is a step by step guide on how to change oil in your car. We recommend you to read this other articles on the right synthetic oil change interval, how to find the best synthetic motor oil and best oil filter so you count with all the information you need to get the right supplies for this operation. Step 1. Check owner's manual for the recommended SAE viscosity and oil quantity. Step 2. Buy the right oil and filter for your car. Step 3. Prepare the car. Step 4.Locate the oil drain plug and place the drain pan below. Step 5. Unscrew the plug and drain all oil. Step 6. Replace the oil plug gasket and put the plug back in. Step 7. Remove the used oil filter. Step 8. Put the new oil filter in. Step 9. Add new oil. Step 10. Start the car and check oil level. Step 11. Dispose the used oil at the right place. 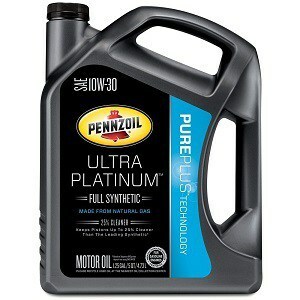 As an example let's say is 4,25 qt and SAE0W20 so that’s the oil you should get. ​We’ve written two articles for that matter. The second will help you find the best oil filter for your car, so you can read them and buy these parts together. You will find this resources on the sidebar whislt you scroll down. If you already have oil and a filter, go to the next step. We want to lift the car up, secure it and make sure that it will stay there safely. For that, we will jack the car up using the jacking points which are reinforced parts of the frame made specifically to support the vehicle. They have those little round shaped dents and the frame is thicker there. Then we will jack it up and place a jack stand under one of the thicker parts of the frame. Lower the car down slowly so it sits on the jack stand and then lift the jack up again till it supports the car too. Your car's got a lot of stuff underneath and may look confusing if you don't know much mechanics but do not worry. The oil drain plug will be on the oil pan, which in most cases is black, and even if you see another pan only one of those will have a bolt coming out. Do also locate the oil filter, which in most cars will be accessible from underneath but in some,it may be on top of the engine. We want to place our oil collecting pan underneath the oil plug and forward as the oil wont come down on a straight line (like a faucet) but more like a fountain. For this step we want to loose the plug with the help of a ratchet. The longer the handle the more leverage we will have so the easier it will be to loose the bolt. Then we want to unscrew the bolt by hand whilst slightly doing pressure against the car (this will prevent the bolt from popping out when it is about to be completely unscrewed as the oil will be pushing it out. That will cause the oil to spill all over the place and we will have maybe trouble finding the plug). In cars that use high viscosity oils (high SAE numbers) and if it is really cold outside, you may help this process by removing the filler cap on top of the engine too. On the top picture you can see, as we talked before, how the oil pops out forward, that is the reason the pan should be slightly forward. Now we let the oil to drain completely and proceed with the next step. The oil plug comes in most cases with a copper oil gasket that deforms under pressure so it adjusts and ensures proper sealing. These are one-use gaskets and must be replaced (some people run those two-three times but we've seen too many wrong-oil-changes aftermaths so we encourage not to). Note that some gaskets have a rubber seal that you may use multiple times. Screw by hand the plug the end and then tighten it with the ratchet till you see that the copper gasket has squeezed and it feels snug. Do not over tight it. That bolt really does not need to be tighten very hard and if you strip the drain plug you will cause yourself big trouble. Clean the surface afterwards with paper towel. It will help you spot any eventual leaks that might occur. Sometimes you can loose the oil filter by hand sometimes it will be quite hard so help yourself with an oil filter wrench to do so. There are several different kinds, we recommend adjustable ones as they will be good for any oil filter size. Make sure that the oil catch pan is right below the oil filter. Take the new oil filter and lubricate the rubber gasket with your finger dipped in oil (new or used it truly does not matter). This will help the gasket seal properly. If you do not lubricate the gasket, once you tighten the filter it may feel snug but it actually may not be! Because the rubber is offering resistance since it did not adjust. So, do lubricate the gasket my friend. Now some people like to pre-fill the oil filter (in cases where the filter isn't placed sideways or upside down) to prevent dry-starts and we agree. If you do so, take into account the amount of oil that you poured into the filter or you will overfill your engine later. Tighten the oil filter by hand. Do not use any tools for this as if you over-tight the oil filter the next time you'll try to change the oil it will be a true challenge to take the oil filter off. If it is a bit slippery just clean the filter with a paper towel and tighten it by hand until it feels snug. Once the filter is installed, lower the car by jacking it up a little bit, remove the jack stand, and then lower the jack slowly. So we've taken of the oil cap, which will be on top of the engine. If you didn't take it off prior, do it now and place the funnel. On the side of the bottle you have a scale that shows how many quarters or liters you've got in it, so we want to use this to know how much oil we pour into the engine. If you have pre-filled the oil filter remember to take that into account. So simply pour the oil in until the side scale tells you that you've poured what the manufacturer recommends, put the oil cap back in and jump into step 10. You've already changed the oil in your car now it is time to do a final check. Start the car and make sure there are no oil lights on on the light panel. Then stop the engine and let the oil simmer back to the bottom of the engine for about 5 minutes before doing the oil level check. To do so, you want to pull the dipstick out, wipe it with paper towel and pull it back in. Then pull it back out and check. Some dipsticks will have holes on it, other will be dented, it doesn't matter. The real important thing here is that the oil level must be anywhere between the L mark (for Low) and the H mark (for high) being right at the H the perfect spot. That would mean that the engine has the correct amount of oil in it. If it is too low, pour a little more and check again. However, if it is WAY beyond the High level you do want to remove some oil until the level is correct. Over-filling your car's oil will cause engine malfunction. If the dipstick is hard to read (which is normal with new oil specially with synthetic oils that are quite clear) flip it and check from the back. You can also try different lights until you can properly see it. What do you do with the old, used oil that's on the drip pan? 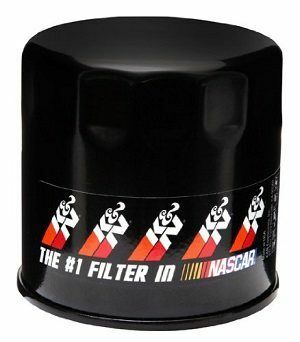 And what about the old oil filter? These are highly contaminant elements and must be disposed on the right place. It is truly easy to get rid of them by simply handling them to your local garage, car components shop, Walmart or Autozone (to name a few). Places that sell oil accept used oil for recycling at no cost for you, so please do dispose them on the right place. One single liter of oil contaminates one billion liters of water. Get the necessary tools you'll need to get it done!